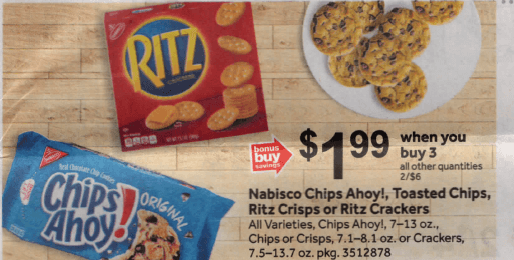 Starting 3/22 Stop & Shop will have Nabisco Chips Ahoy Cookies on sale for $1.99 each – Must buy 3! We still have that really awesome $0.75/1 Nabisco Chips Ahoy Thins Cookies any variety 7 oz+), coupon available from the 3/3 Smart Source insert. 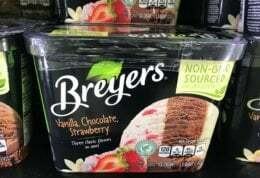 Pick up 3 and pay just $1.47! We also have that really great $0.75/1 Nabisco Chips Ahoy!. 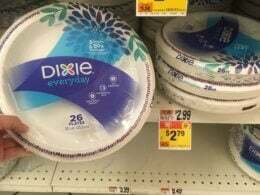 7 oz or larger, excludes single serve sizes., SavingStar Rebate to stack with this deal. After stacked offers we’ll pay just $0.24 each! Awesome Deal! *Note shelf pricing can be regional – always price check before checking out! Giant – Giant/Martin shoppers check your store for a similar deal!